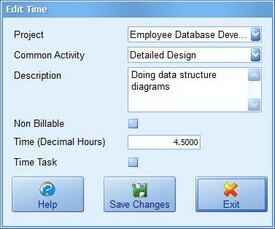 A view of the Timesheets Lite timesheet showing the task timer automatically tracking time spent on a task. 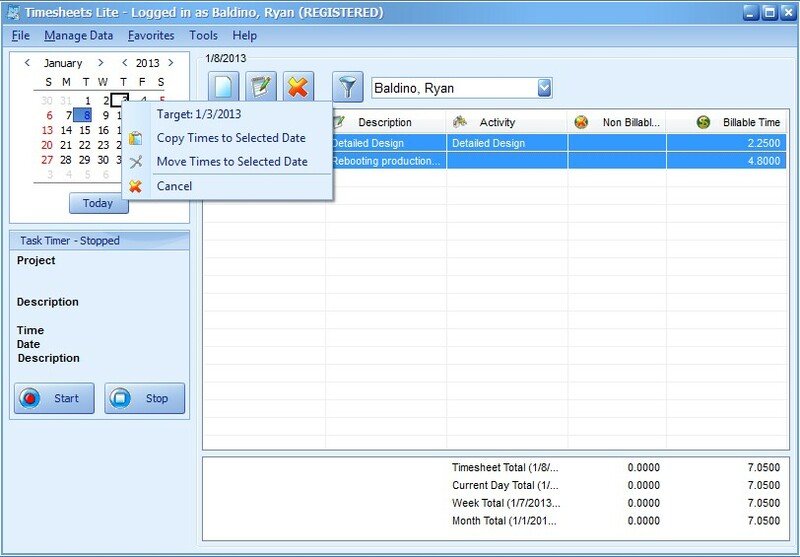 Employees can easily drag one or more times from the timesheet list to a day on the calendar to either make a copy of the times or move the times. Projects and common activities can be saved as favourites by employees for more efficient timesheet data entry. 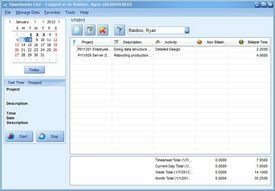 Employees are not restricted to viewing one day on their timesheet. 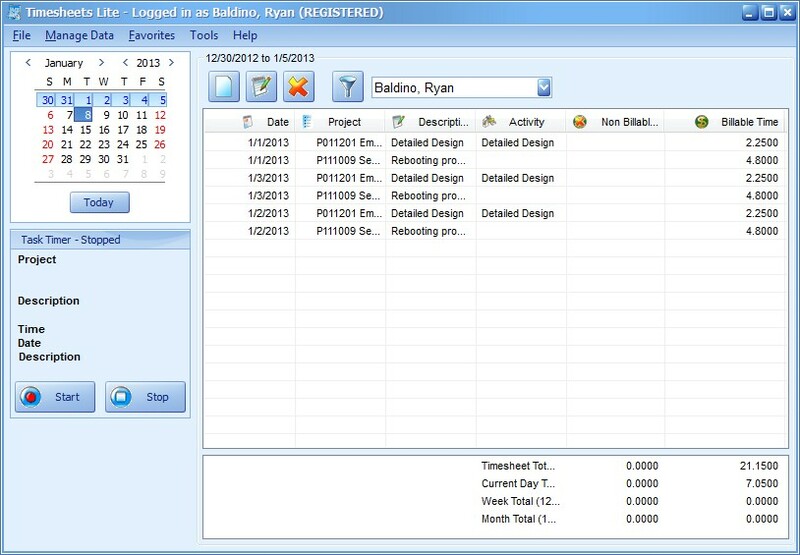 By selecting multiple days on the calendar an employee can view, add, edit and delete times across any time period. 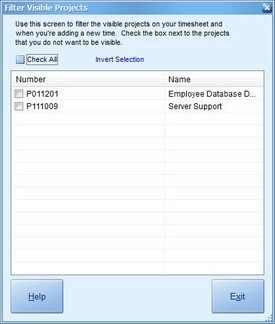 This screen is used by employees to add or edit times. 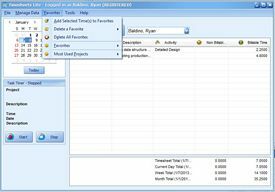 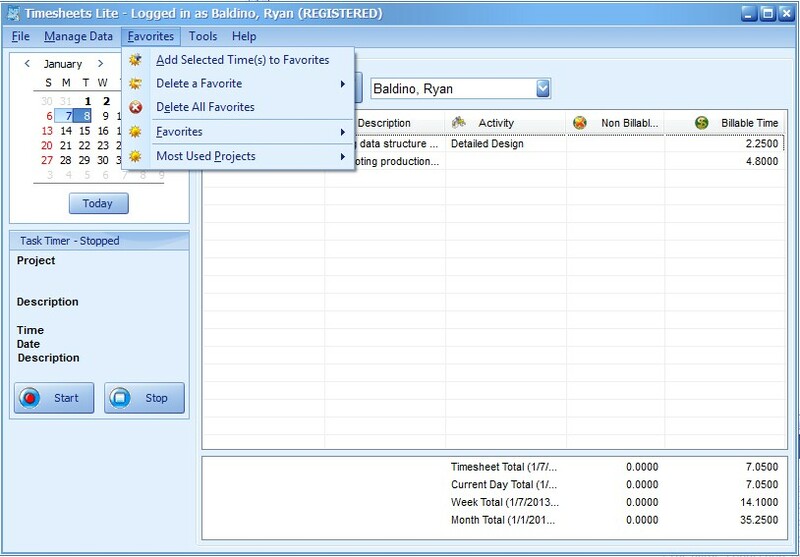 Timesheet items are recorded against a project and optionally a common activity and can be entered in decimal hours, hours / minutes, or time units. 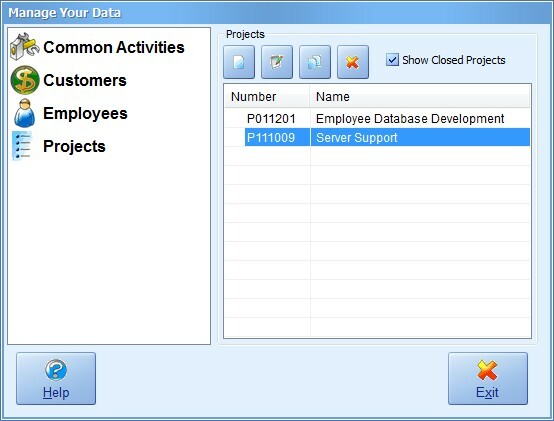 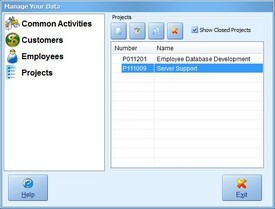 If an employee only needs to book time to one or two projects then they can use the project filter screen to hide projects they will not use. 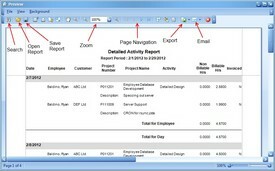 This can make it easier for employees in companies with a very long project list. 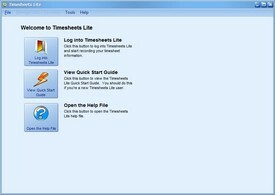 This screen is used to manage the Timesheets Lite project list. 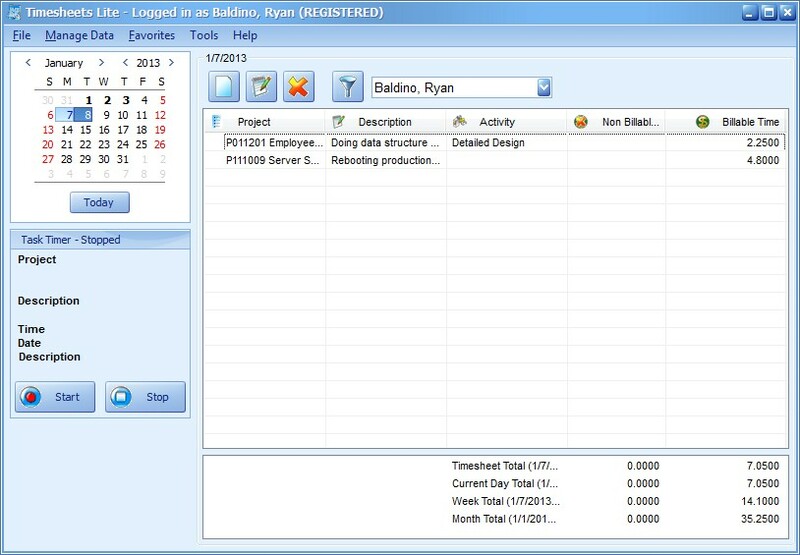 Employees need to pick a project when recording a time on their timesheet. 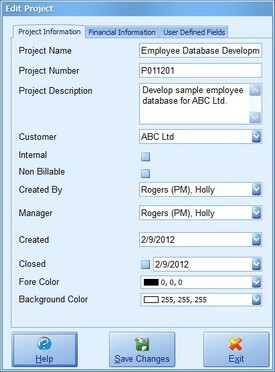 This is the general project information screen. 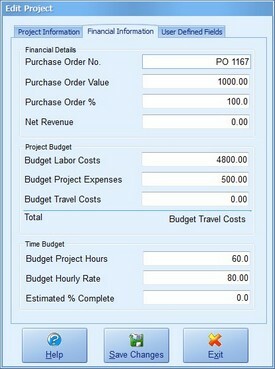 This is the project financial information screen. If you need to track any additional information along with a project it can be entered on this screen. 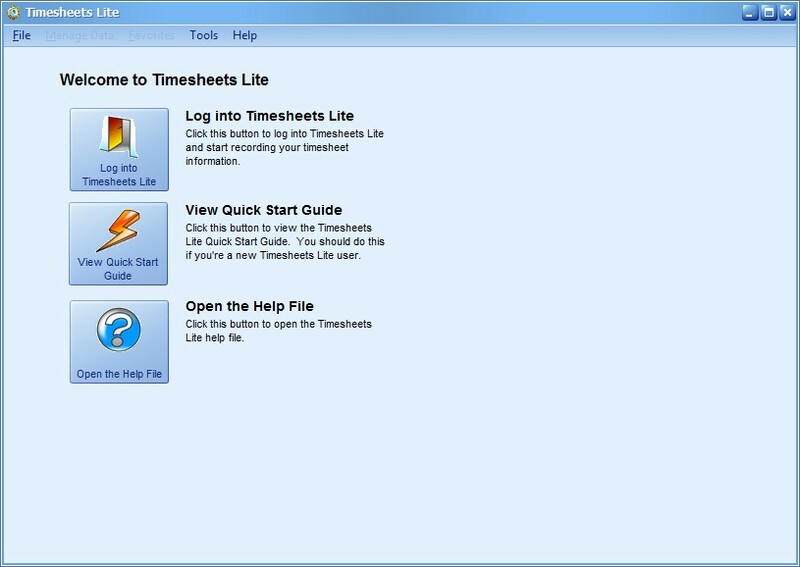 This screen is used to manage the Timesheets Lite employee list. 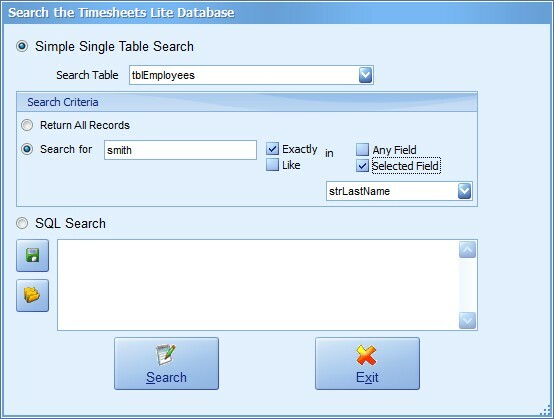 If you need an employee to use Timesheets Lite to track their timesheet information then you must create a corresponding employee record for them in Timesheets Lite. 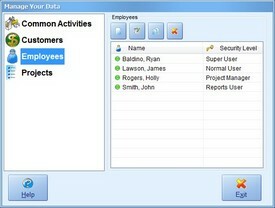 This is the general employee information screen. This screen is used to manage the Timesheets Lite customer list. 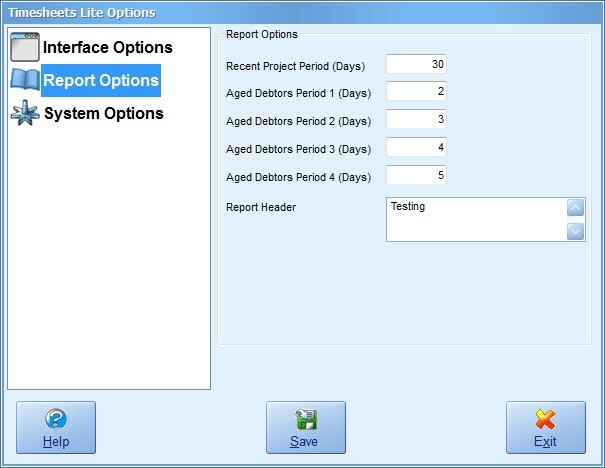 If required you can assign projects to a customer and then use the Timesheets Lite reporting screen to run reports for that customer only. 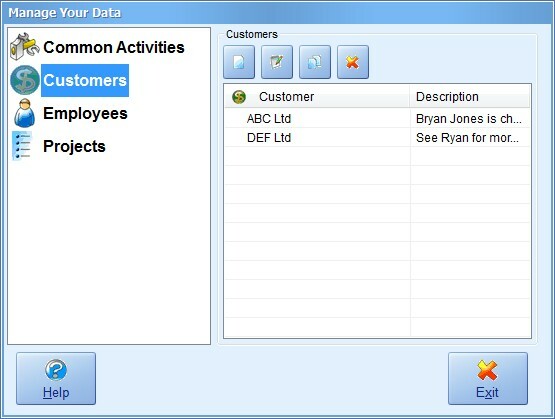 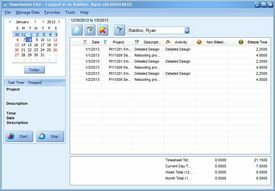 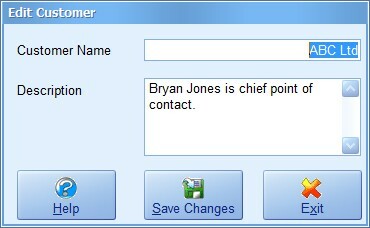 The Add/Edit Customer screen is used to manage information about individual customers. 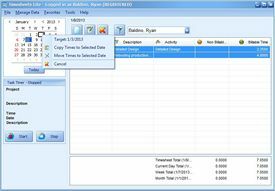 This screen is used to manage the Timesheets Lite common activities list. 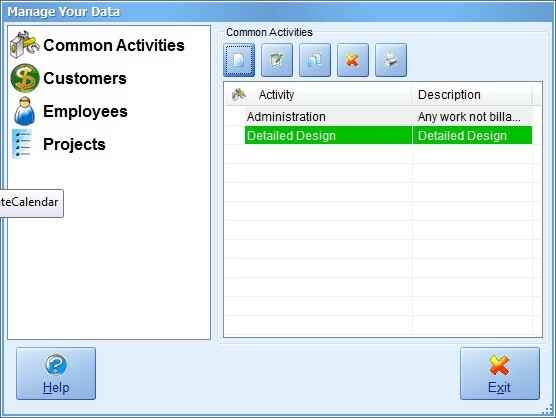 You can use Common Activities to represent those tasks that are commonly carried out within your projects. 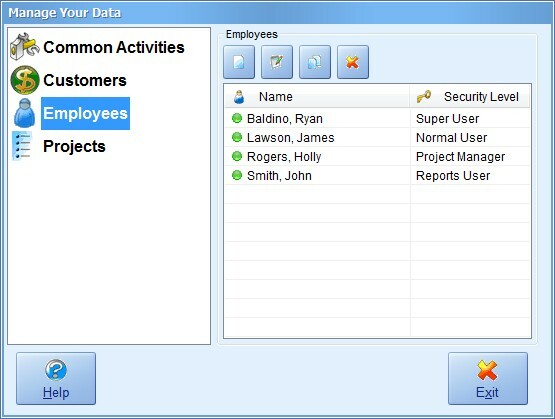 Employees can book time against activities when recording timesheet data and reports can be run breaking down time spent against common activities. 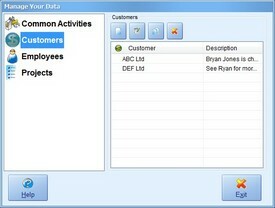 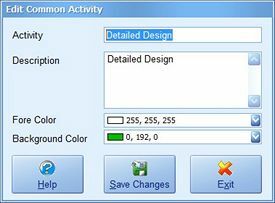 The Add/Edit Common Activity screen is used to manage information about individual common activities. 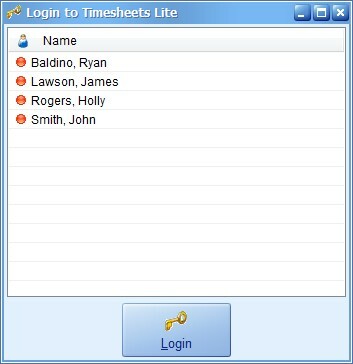 Timesheet items entered into Timesheets Lite can be marked as invoiced using this screen. 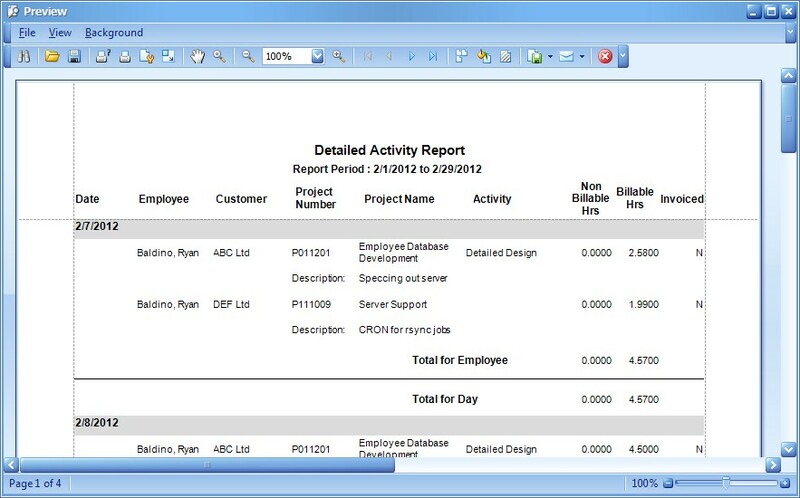 This report is generated by the invoicing report screen (see above) and it details all of the times that were marked as invoiced. 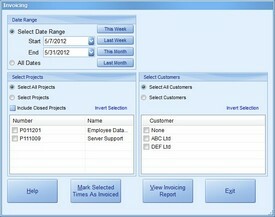 This report can then be used to generate your actual invoices for billing your customers. 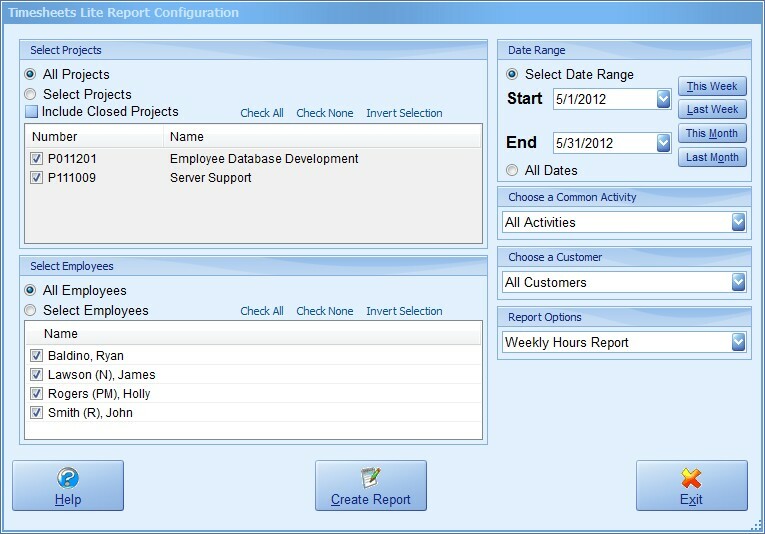 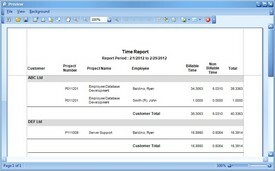 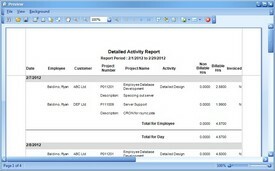 This screen is used to set report criteria such as dates, employees, customers, and common activity. 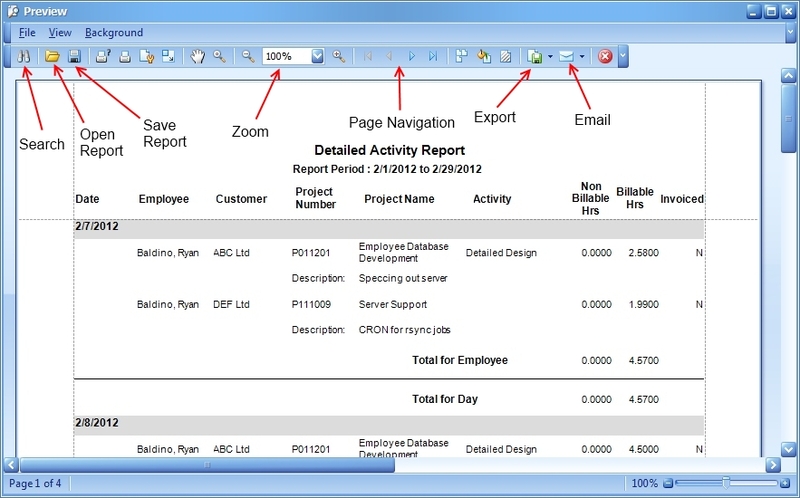 It's also used to select the actual report to be run and then will generate the report (by clicking the Create Report button). 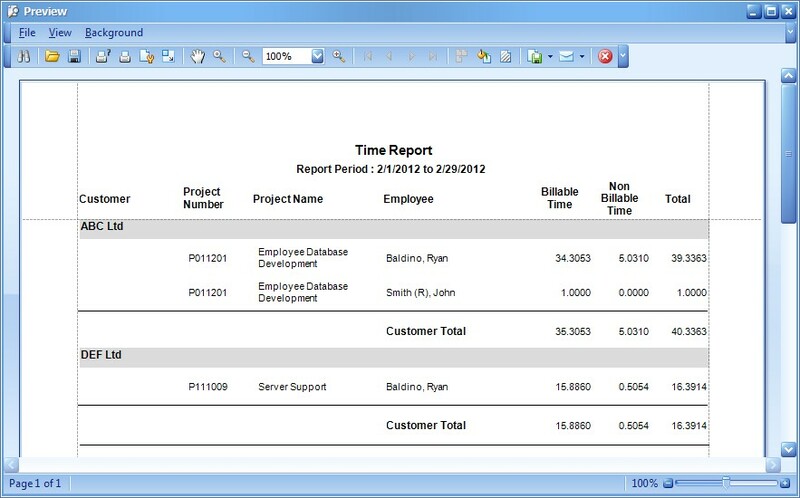 This is an example Timesheets Lite report with a brief explanation of the toolbar buttons available at the top of every report. 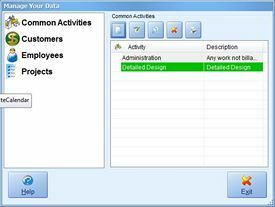 If you need a day by day and employee by employee breakdown of activity on projects then the detailed activity report is the one for you. 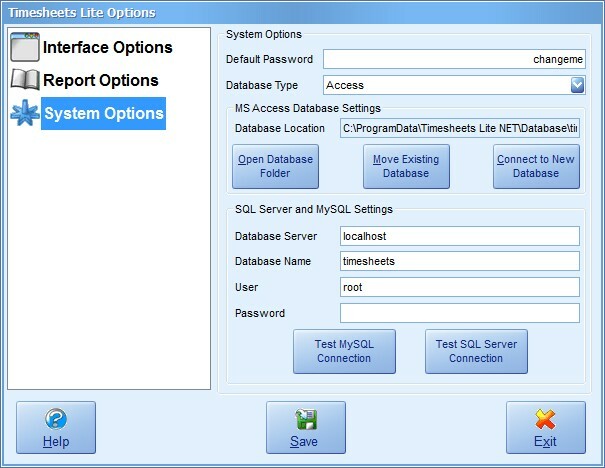 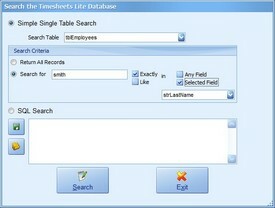 This screen can be used to run searches against the Timesheets Lite database. 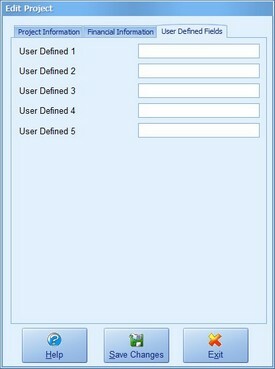 It includes a simple query builder and the ability to export the search results directly to Excel. 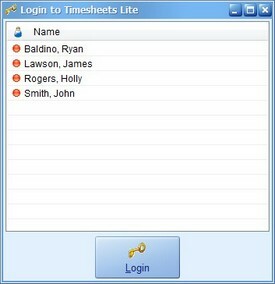 This screen is used by employees to select their name from the list and then login to Timesheets Lite. 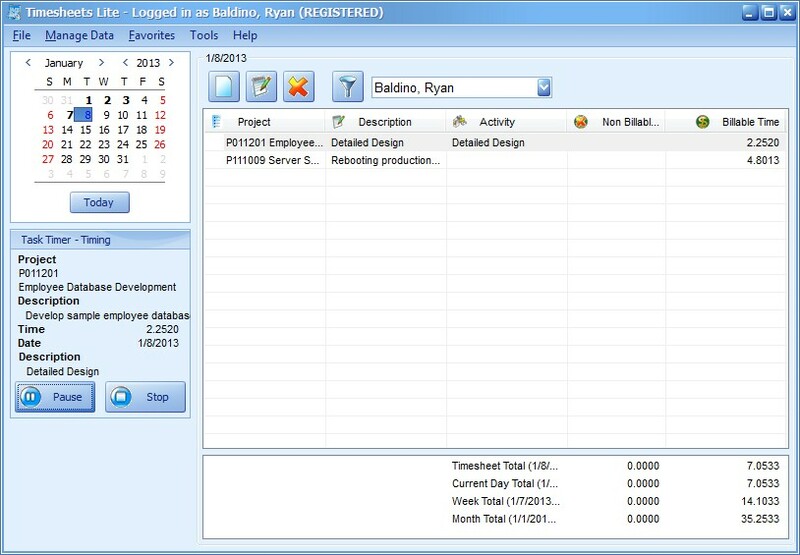 When no employee is logged into Timesheets Lite the dashboard is displayed. 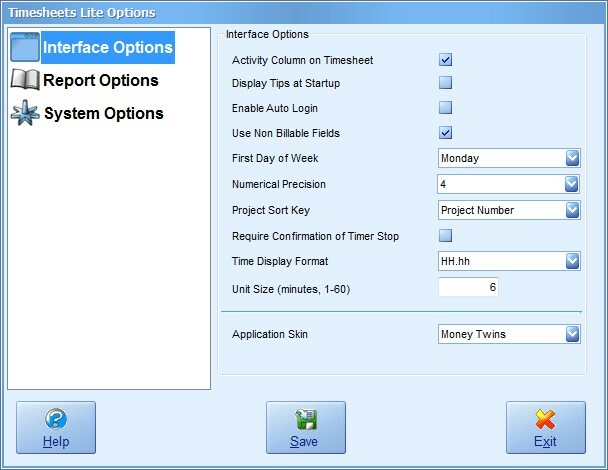 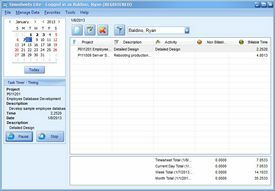 Various aspects of the Timesheets Lite user interface are controlled by this screen, the Interface Options screen. 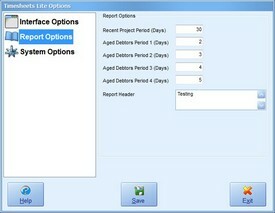 Some aspects of how reports in Timesheets Lite are generated are controlled by the Report Options screen. 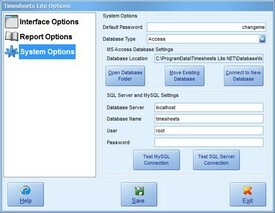 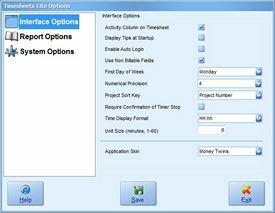 Critical system wide settings of Timesheets Lite are controlled on the System Options screen.